Poor Candidate Vetting: Nomination committees intuitively seek candidates like themselves, especially those who will not rock the status quo. Examples: In one community I encountered, the American Automobile Association (AAA) board was as a “prestige” board, simply because some leading local executives were involved. Few members I knew really cared about the organization’s mission. In another instance, I observed that a nominee was accepted, solely on the recommendation of the candidate’s spouse. External Relationships: Although most nonprofit directors are considered independent ones, not part of management, their professional backgrounds and personal relationships can lead to groupthink. As in the business world, independence can be as hard to define in nonprofits. Family Ties: It is not unusual to find members or family group(s) becoming nonprofit directors for generations. I can identify a family that has had a 100+ year board relationships that began in the early 20th century. A few of the family members have been outstanding board members, others only offered networking and financial assistance. One of the second generation descendants reported his father had been on men’s board (handled finances & management) and his mother was on a women’s board (assisted with the children in the facility)! The nonprofit changed to a modern board structure, has grown substantially in the last 40 years and now has over 2,000 employees. Professional Ties: Persons in professional fields often seek service on nonprofit boards for networking purposes. Most have, at the least, some modicum of ambition to be helpful to the organization’s mission. Having multiple persons from the same professions, business firms or political groups also bars critical board thinking. Social Relationships: Sometimes nonprofit boards are composed of one or more groups with strong social relationships. As a result, “friends of friends” having similar values can occupy board positions and promote on a rear view type groupthink. The CEO: Nonprofit CEOs can develop social or business relationships that make groupthink the norm. Yahoo was in such as situation when Marissa Mayer-was president. According to an article in USA Today, she is one of six (directors) with tech experience on the board. … One-third of the board…was on the board before Mayer joined and was part of the team that selected her. (Another one) was previously CEO of a (Fortune 500 firm) where Mayer was a board director. … The pro-Mayer board claim has resulted in a rubber-stamping of all Mayer’s decisions. With an average nonprofit CEO tenure of 12 years, according to one study,* nonprofit operating heads have opportunities to “manage” their boards via groupthink, similar to the Yahoo board. 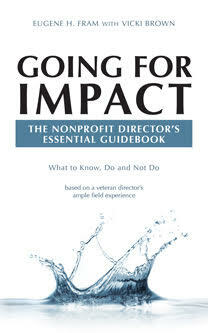 In 12 years, the average nonprofit board, with six-year terms per director, will have had two completely new boards. The CEO will likely be the only one to have some institutional memory. Except in unusual situations, my observations have been that nonprofit boards reappoint their CEOs as long as they maintain the status quo with modest increments. Frequently, a board is only willing to think about CEO change when the CEO is accused of malfeasance, retires or leaves for another position. The process for candidate selection needs to be overhauled. Friends, family and colleagues as sources for candidates can’t be changed quickly. But every board needs to assess what proportion of each it has, reduced the percentage when necessary and seek candidates with new qualifications beyond the usual overt professions—medicine, law, marketing banking, etc. More intangible qualities, such as ability to think critically and strategically, leadership record and visioning abilities, need to be added to the recruitment matrix, despite the difficulty in vetting them. 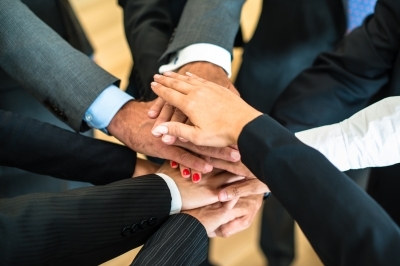 Recruitment committees need to address the touchy issue of social-political relationships. This will lead to rejecting some who may have been readily accepted in he past, such as family member of current or termed-out directors. Some of these decisions may conflict with fund development objectives, as some donors may be kept on a board long after they can contribute to governance. As with everything in the nonprofit environment, reduction/elimination of groupthink can lead to more efficient and effective client impacts.